Guaranteed mould free for 12 months! What can you do to squash the sneezing, headaches, congestion and breathing difficulties these harmful health hazards create? Turn your air conditioners into air cleaners by utilising Sanitair to professionally clean and remove all harmful contaminates and apply advanced environmentally friendly sanitising solutions; that will continue to eliminate the harmful bacteria and mould, guaranteed. Sanitair has conducted over 70 air conditioning cleans in Noble Lakeside Park during 2006/2007. I have found this company to be highly professional and courteous at all times, the positive feedback from our village residents is testament to this. Their discounted residents’ price does not reflect the quality of their work and we would have no hesitation in highly recommending Sanitair for all your air conditioning cleaning needs. 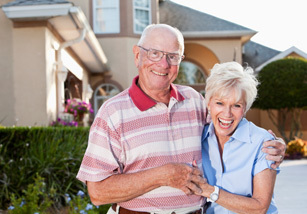 Sanitair Air Conditioning Cleans have been extensively used to benefit the residents of Retirement Communities.